I’m a huge fan of teachable moments. Middle schoolers are, by nature, huge fans of the media and pop culture. I get *so* excited when I catch a teachable moment in a hot-topic current event. That’s what happened this week! If you follow football at all, you’ve most likely heard the controversy surrounding this Seahawks player in the news recently. That’s Richard Shearman, who you might know as the best cornerback in the league. 🙂 For the record, I really like Richard Shearman. So, both of these guys have something in common: recent newsworthy interviews! Don’t think it’s important to know how to speak in public? OH, it is! I’m sure your students have seen the famous Richard Shearman interview where he proclaimed that he’s the best cornerback in the league (you have, right? ), but did they see this Marshawn Lynch interview from Super Bowl Media Day? See, here’s the thing. Marshawn Lynch is camera shy. He’s so afraid of public speaking that he has actually been FINED by the NFL for not speaking to the media. He speaks to the media here only under threat of being fined. He even says so! Watch this, and then show it to your students. I love this video clip because it’s an EXCELLENT example of a good public speaker vs. a poor public speaker. Marshawn’s friend, Michael Robinson, steps in to help him and you can tell that the media just LOVES the friend. Why is that? 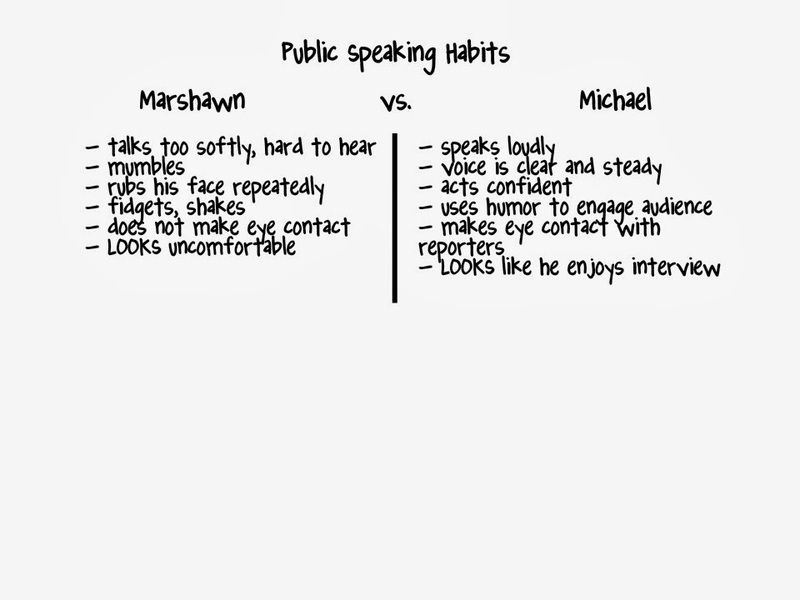 Make a t-chart to compare Marshawn’s speaking habits to Michael’s. 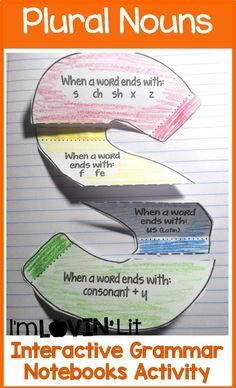 Right click on the t-chart above if you’d like to save or print it to use with your students. Now that you’ve established the reasons why your students need this important skill AND gotten your students’ attention, teach a public speaking unit. 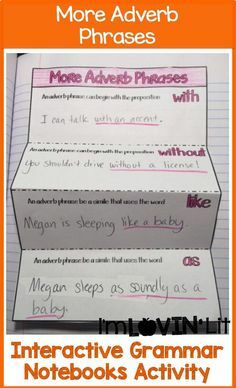 Don’t just assign an oral report. That’s setting your students up to fail. If you’re going to require them to stand in front of the class and speak, then you need to teach those skills! Here’s an excellent Brain Pop video that I always show in case you have a subscription. We watch it twice and I use the quiz as a quick assessment. Then, it’s time for the Public Speaking Rap. I like to use this rap song for MORE than just listening to the public speaking tips. I tell my students that if EVERYONE gets out of their seats and dances during the chorus part (back in seat for the verses keeps it under control and also allows them to listen to the meat of the song..) then *I* will also dance. I often tell my students that the only things I do worse than dancing are 1) singing and 2) drawing. So, of course, the peer pressure kicks in, they all band together and force everyone to dance so that they can see me dance. I let them teach me (and I’m sure I look ridiculous, but that’s OK!) and in the past they’ve taught me the Bernie, the sprinkler, and others I can’t even name! Now for the actual public speaking activity. 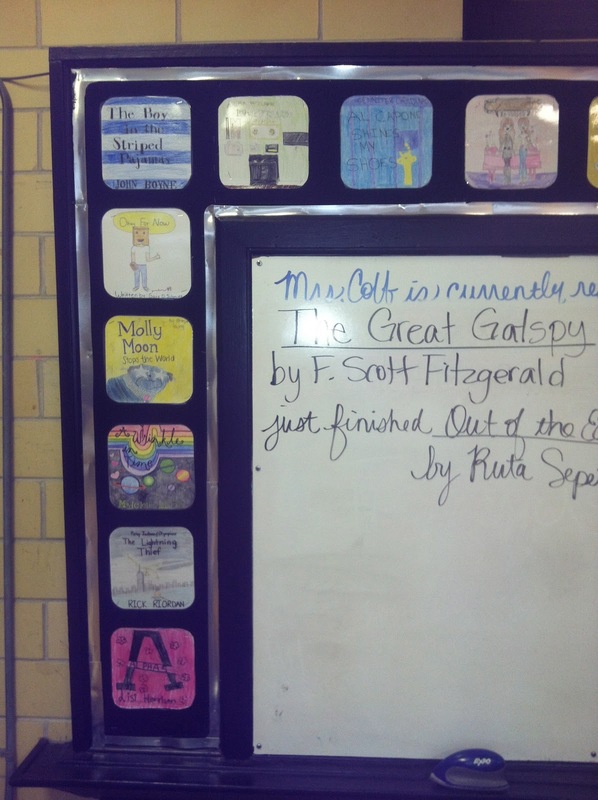 My students do a book talk. There are 3 parts and 3 separate grades so that if they completely flop out on the public speaking aspect of it they’ll still come out of it OK as long as they work hard on the drawing and research portion of it. 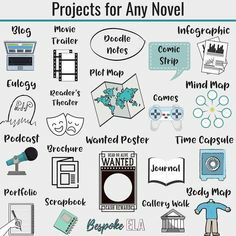 This is when my students create the “book apps” that you might have seen in some of my previous posts. Here’s the rubric I use for my 6th and 7th graders. They present using index cards that I help them to write in class. I left it un-fancy because you’ll need to edit out my name and change some information to personalize it for your class. And my 8th graders are required to present using PowerPoint, which brings in a whole new skill set. I’ll have to blog about that one later, but here’s that rubric. Be sure to get your post ready for this month’s Thursday Throw Down! It’s coming up this Thursday, February 6th. Link up any post about making your lessons interactive for your students! 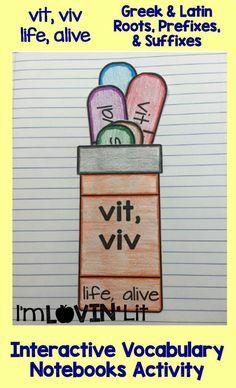 What an awesome post, Erin! You've given me some really fun things to think about. We need to do more public speaking in our classroom and I know my students would love this activity. Thanks for sharing and for linking up! I love the idea of using the football interviews! I am a HUGE fan of football, as are most of my students (I have 17 boys!) and they would love this activity! Thanks for the great idea! 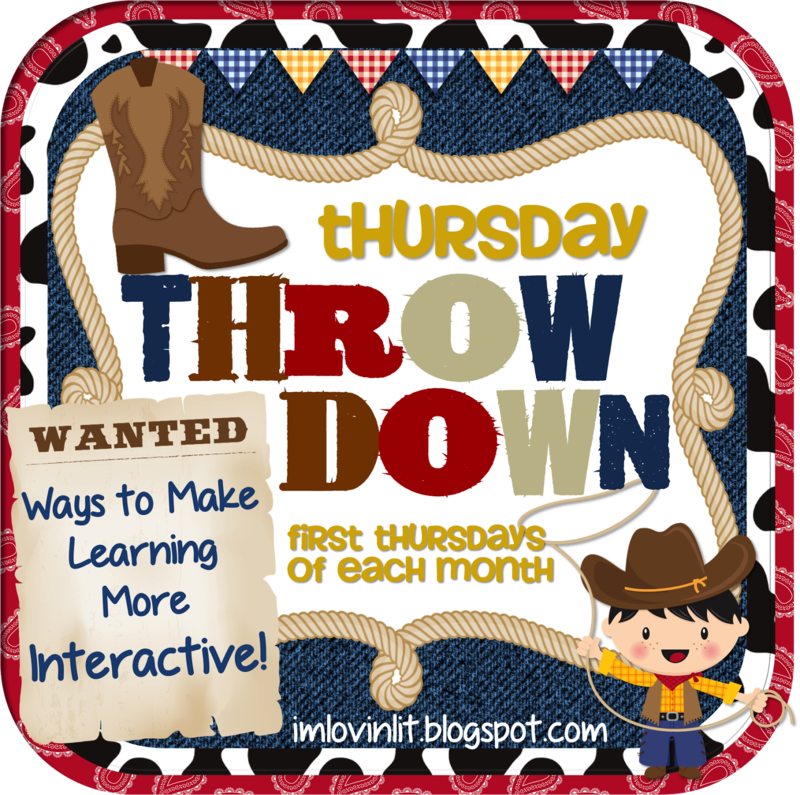 Aso, as a new blogger I am excited to link up with your Thursday Throwdown for the first time this week! This is perfect! We have been writing persuasive speeches for the last month and we will be presenting this week! 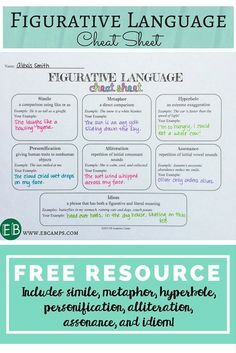 We will definitely be doing this lesson to help prepare them to speak their minds! Thanks for sharing! I love this rap! I just bookmarked that site. Thanks for sharing! Are you students allowed to use smartphones and such in the classroom? If so, I have a great extension for this! Love this. We do a presentation at the end of the year and I need to teach public speaking skills. Very motivating Erin! A little dance party is good for everyone, but I like how you describe it as taking a risk and getting out of their comfort zone. I wish all levels of school required a public speaking unit. I remember the first time I was "taught" public speaking was in college-too late for most people. I'm not shy, so I loved it, but most of my friends wanted to throw up every time it was their turn. As a matter of fact…I did a one minute speech while doing a hand stand! LOL! Our teacher said we need to get the audience's attention! (Told you I wasn't shy!) 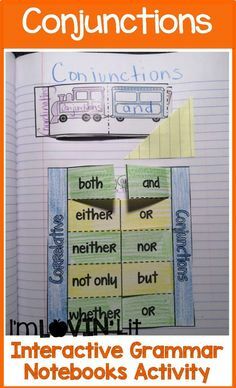 Thanks for sharing another great lesson idea and resources! Just love this Seattle clip! Perfect to teach strong public speaking habits! Thank you!!!!! You rock! What a great idea!! My fourth graders are doing speeches for their wax museum project, so Kay have to use this with them on Monday. Oh, and they'll also love it because Robinson is from just next door. Thanks for sharing!